I am always afraid when I read quotes that say, "we are going back to our roots" and "it will be a back to basics record." More often then not, the artist will be wearing egg on their face once the album comes out. Those were the quotes I read before Hold Your Fire came out and just like many before them, Rush had a bit of egg on their faces. The Rush legion would be fooling themselves if they thought that Alex, Geddy, and Neil were going to write "Working Man, Pt 2." 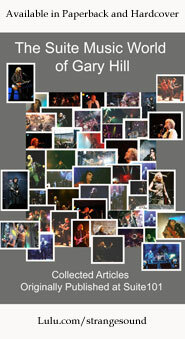 One of the things that has made Rush so successful is that they have progressed musically and have taken their fans along for the ride. Sure, there were the fans that griped about the lack of guitars on this release, but those fans didn't really understand what Rush is all about. Rush is about experimenting and expanding. Each album is unique. Fans complained when Permanent Waves came out because they thought how could this once mighty prog-rock band start writing hit singles. Hold Your Fire is just that type of record. It is not necessarily a fan favorite but back in 1987, Rush threw us a curve ball. Coming out at the back end of the 80's when hit singles ruled, Rush decided to release a collection of songs that didn't have any of that hit single potential like "Spirit of Radio" or "Tom Sawyer." They did make a few videos from this album but, by and large, this was not the jewel in the Rush crown. But like any precious stone, the beauty is there, you just have to look at it in the right light. This track builds into a latter day Rush rocker. Even though there are a lot of keyboards on this song, the guitar is given its equal space. Alex's doesn't get too much of a guitar solo but quite honestly; this cut does not need it. The biggest claim to fame that this track has is the inclusion of Aimee Mann's vocals on the chorus. It is also an upbeat track that follows in the footsteps of the first song in that keyboards dominate the chorus. Mr. Lifeson is given room to breath throughout the rest of the song. The beginning of this cut is reminiscent of late 80's Genesis. I can't help but feel that Rush were listening to the music of that time and being influenced by it. Alex finally sneaks in a legitimate guitar solo that sounds similar to the one he did in "Limelight." "Open Secrets" is definitely the unsung hero of this CD. Rush try their hand at a piano ballad. This is such an odd track for Rush because it is unlike anything they have done before. The drumming is very similar to "Mystic Rhythms" but the rest of this track is very un-Rush. 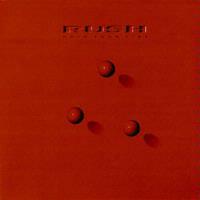 The hit single of Hold Your Fire is "Prime Mover" and it is the most commercial song on this disc; as commercial as Rush can be. Again, we don't get a guitar solo from Alex and the guitar that is there is really hidden back in the mix. Geddy starts this track with some haunting keyboards which really set the mood for a cut that deals with weapons of mass destruction. The lyrics ring true today just as much as they did in 1987. Alex adds to the mix a guitar solo that emotes frustration. He might have been frustrated not only by the lyrical content but also due to the fact that this is not a very guitar oriented album. The beginning of this cut starts with Geddy singing over some keyboards and this part really doesn't fit with the rest of the song. It quickly changes into another upbeat number that is typical of late 80's Rush. Listen closely to the beginning bass/guitar lines. I wonder if INXS were influenced by this track for their recent hit "Pretty Vegas." For the chorus, Geddy plays some keyboards that remind me of "Between The Wheels" from Grace Under Pressure. Along with "Force Ten." This is the fastest track on Hold Your Fire. This cut is Hold Your Fire's "Mystic Rhythms." The structure of both songs is very similar. The main difference is the Asian theme, both musically and lyrically. I remember listening to the vinyl edition of this album and being a bit disappointed that Rush chose to end on such a forgettable song. Just think of the great songs Rush used to end albums with; "Countdown," "Vital Signs," "Mystic Rhythms." "High Water" is a letdown. It's not necessarily a bad track but Rush are capable of writing much better songs. Mr. Mister made a career by writing songs like this. This cut is just your average upbeat 80's rock song. I would have ended the record on "Tai Shan."